Following the Autosport Show I spent a few days exploring London before jetting to Stuttgart Germany. When we first started planning our trip to Autosport I knew I couldn’t fly across the Atlantic without visiting Germany and my mecca, the Porsche Museum and factory. We landed in the dead of winter and proceeded to pickup our Audi A3 rental car and head towards the factory (and also saw snow for the second time in my life, keep in mind I grew up here in Florida). I’ve been a Porsche fanatic for many years now, living and breathing the brand, so it was great to take in the town where these machines are created and the history of how they came to be. I had requested a factory tour which was denied due to the work force just returning from their holiday leave and the available replacement date was after my return to the states. While we weren’t able to take the factory tour this trip, the Museum was open which offered a great consultation. The museum which opened in 2009 holds about 80 cars from Porsches private collection and shows the great history behind the brand and extensive racing history. There is a factory restoration facility on site, and all of the cars are in working condition and can be shipped to events and races around the world for exhibition purposes. In the entry forum there is a small coffee shop with a glass wall behind it that houses the Porsche factory workshop. The Workshop is where the factory restores historic cars to like new condition and keeps the museum maintained and the cars in running condition. It sure beats running to the local Starbucks when you can enjoy a latte and view master technicians at work! When you walk into the museum you are greeted by a work in progress Type 64 body, this aluminum body was made prior to WWII and is the design inspiration for many Porsche vehicles to follow. Just as important as the cars, is the technology that goes into them, which Porsche displays just as prominently as the vehicles in the museum. This is a billet titanium crank from one of their 917 engines, something that would be a huge undertaking even with todays CNC production, when you realize that it was from the 60s, it shows just how much Porsche was willing to invest to stay ahead. Titanium was the cold war material of choice in the 60s, this spherical gas tank was also produced entirely from the lightweight material. The museum had an entire 906 body handing from the ceiling to show the inner workings of one of the first race cars to be constructed from hand layered fiberglass over a tubular frame. It’s important to realize that the Museum is a working museum, these priceless cars are kept in working condition and exercised whenever appropriate. As a result they have plenty of blemishes, or rather character showing such use. Porsche doesn’t go out of it’s way to hide this, but rather benefits from the fact that these cars can still work as designed even today. Many of the cars are used at events around the world to help promote the Porsche brand and it’s heritage, this particular car had scrutineering stickers from the Goodwood Festival where it last ran up the hill in 2010. A Porsche 935 Long tail, one of the original monster turbocharged race cars. This particular car like many of it’s era was quite prone to oil leaks, the factory chose to simply put a drip pan under the engine to keep the floor clean rather than hide it. A car that most Porsche enthusiast lust over, the RS 2.7 Coupe. Today there are likely more replicas of these on the road than originals, so seeing the real thing in the flesh was quite the treat. 3 of the most iconic modern Porsches all lined up in a row in race car form: 959, 993 and 996 GT1. The Porsche 917 gave Porsche it’s first Lemans overall win and dominated in the early 70s, a cherished time long before rules constraints limited manufactures involvement as it does today. The flat 12 cylinder engine had many configurations both NA and Turbo, but was known to produce over 1,000hp and propelled the car to speeds over 240mph on the long Mulsaane straight. The Pink Pig is one of the most recognizable of the 917s for it’s aerodynamic wider stance, however it was only entered into one race before being retired after a crash. The car was an aerodynamic research car that became so wide it would no longer fit in a standard transporter, after it’s sponsor declined having its decals on the car, it was painted in honor of it’s nickname which translates to “the pink pig”. An exploded view of the famous flat 12 engine the powered the majority of the 917s (an experimental flat 16 was tested but discontinued after the turbocharged 12 version proved quicker in testing). The Porsche Museum should be on any Porsche or automotive enthusiasts bucket list, very few places in the world house as much racing and automotive history as one can find under this roof. Next to the museum is the factory where most modern Porsches are born, and I’m anxious to do a return trip in better weather to see the production process in person after visiting the factory. For now it’s one more line scratched off my bucket list. There is an old saying that even a bad day at the track is better than a good day in the office. If that statement rings true, then a great day the track is even better, and thanks to great weather and an invite from Porsche, I’ll agree. Yesterday we left Orlando bright and early for a 10:00AM tee time at Sebring International Raceway for an invite only Porsche event, The Porsche World Roadshow. The day started with a meet and great followed by a tech session on the basics of performance driving from Porsche Sport Driving School’s Chief instructor Cass Whitehead. After the quick classroom session was over we paired up and headed to a large autocross course where we got to put the newly released Boxster through its paces. I typically prefer more pure driving sports cars, however I was quite impressed with the technology in the Boxster after playing with it’s Sport settings and electronic suspension dampening. The performance of the car could be greatly changed for the conditions simply by pressing a few buttons located next to the shifter. A second autocross course was setup for the Technology drive featuring the Panamera and Cayenne Hybrids and V8 Counterparts. On the short course we were encouraged to go full throttle on multiple occasions and test the throttle response to compare the differences between the 2. When you think Hybrid you typically think of slow Toyota Priuses clogging the left lane, the Porsche version couldn’t be further than the opposite. The Porsche Hybrid delivers amazing throttle response and low end torque thanks to it’s electric motors assisting a powerful NA engine, which delivers a driving experience that sticks to Porsches pursuit of ultimate performance, all while improving fuel efficiency. With the performance drive completed it was off to the big track for what most participants traveled long and far to experience, driving the latest Porsches on the famed Sebring International Raceway. The format was a lead follow session on the Sebring modified course in the Panamera GTS, Porsche 991, and the 991S. While the driving was done in a somewhat controlled environment, it still allowed us to push the cars through their paces for a few laps each. I left quite impressed with the new 991, which makes the most of recent technology to deliver a great drive, adding new creature comforts not found in the previous model. All of the models we drove were equipped with Porsches new PDK transmission, something as a purist I should hate, however its a phenomenal piece of equipment and for 99% of the drivers out there exactly what they need. A big thanks to Porsche North America for putting on this event and our good friend Andreas at Porsche Orlando for the invite (If you’re in the market give him a ring). This was the ultimate way to test the newest models and draw our own opinions on them, most of which were positive! The latest project car in our stable, my Porsche 996 GT3 just received a fresh set of gloss black 18″ HRE R40 Monoblock wheels. The R40 was designed for motorsports and is used by countless teams in both drifting and Grand Am. The HRE R40 starts with super lightweight 6061 castings and are engineered to be as light as possible without sacrificing strength, all while offering maximum brake clearance. This particular set weighs in at just over 18lbs front and 20lbs rear, saving over 30lbs of rotational weight from the vehicle. Titan Motorsports carries the complete line of HRE custom forged wheels for all applications, let one of our sales staff help the right wheel and finish for you. 712rwhp @ 1.48 bar ……In 94 degree heat. We’ll be Shipping the car to Puerto Rico for a drag race on May 30th and needed to get a good tune-up in the car before she ships off Thursday. Darin has been working hard to get the Motec and factory ECU to co-operate with each other and get the car tuned. After a few hours on the ECU the car was running excellent and manged to make 712rwhp @ 1.48bar in the 97 degree heat we where blessed with today. The car is running on VP C16 fuel, and still has quite a bit left, however with the shipping deadline looming we where simply out of time to do anymore tuning. I want to thank Tony@EPL for helping us remove some fail safes in the factory ECU and his great advice along the way. I’m still impressed that the old girl is running so well with over 66k miles on the odometer and a completly factory engine. If all goes as planned we expect to hit the local test and tune tomorrow before loading the car up. Project Porsche loses some more weight. It’s finally time to begin installing parts on the camouflage Porsche. Our original plan was to install the complete K24/18G kit this week along with the clutch, however scheduling conflicts made us decide to hold off another week. Instead we sent the factory ECU off to Tony @ EPL to reflash with his modified K16 Map which includes both a brake boost feature and 2 Step. We expect to have the ECU back on Friday in time for another trip to Bithlo for some additional passes down the 1320. Since we had to wait on the ECU to be flashed (in the coming months we will have in house programing available for all EPL products), we decided to remove some more weight. We removed the factory tank of an exhaust which weighed 57lbs. We opted for AWE straight pipes weighing in around 7lbs for the pair, an overall savings of 50lbs off the back of the car!!! While we where at it we removed the factory battery (stock is 52lbs, the one removed was aftermarket and weighed 41lbs). In place of the factory battery we installed a Deka / East Penn ETX-30 battery and made a custom bracket out of aluminum to hold it in place. The new battery was 21lbs total, saving us another 20lbs off the front of the car. We will be using a trickle charger when the car will be without use for an extended time period, however we opted for the ETX-30 rather than the ETX-14. The 30 is about 10lbs heavier, but should offer a bit of security should the car not get driven for an extended period of time. Total savings for the day was 70lbs. We’ll be off to the track on Friday with less weight, extra power, and hopes to get kicked out for going 11.5X without a cage. 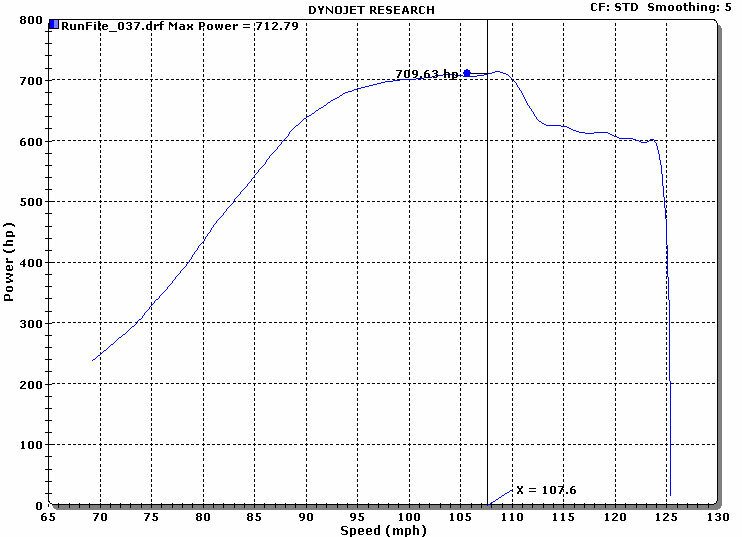 After that it’s more power, less weight, the perfect combination for a better overall car. You did WHAT to a Porsche ??? Project 996 gets camouflage. After a few crazy weeks of traveling, we finally got the Porsche paintjob completed. 4-5 hours in the paintbooth behind our shop, probably 15-20 cans of Krylon camouflage and enough fumes going to my brain that I’ll be high for weeks. Overall I am very happy with the end results, and the opinions of those who have seen the car have been 50/50. It’s a love hate relationship but that’s exactly what I wanted to achieve and either way it draws 100 times more attention than the factory silver.